1. The security, reliability and practicability of the hospital bed attain national standard. 2. 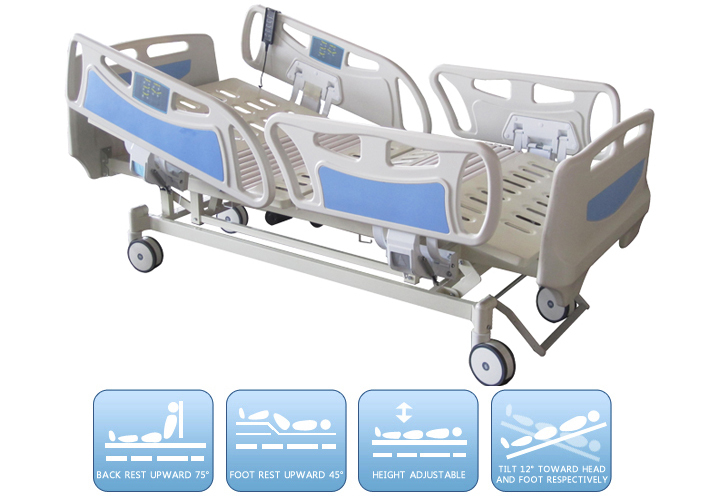 Its in-bed scale system increase efficiency by taking accurate weight readings with the patient in any position. 3. 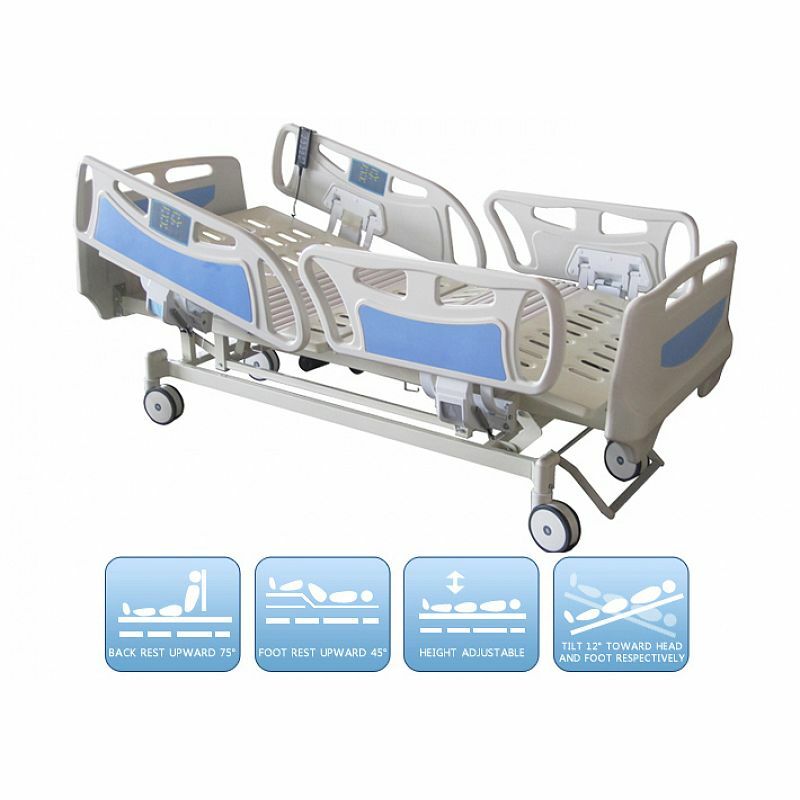 It addresses patient safety with low bed height, full coverage side rails. 4. Its architecture and retractable support surface designed provides the flexibility to choose the most appropriate patient surface. 5. Patient will feel very convenient while be on drip or used the heart monitor since it won’t need to change patient position when the bed back section rise and low.